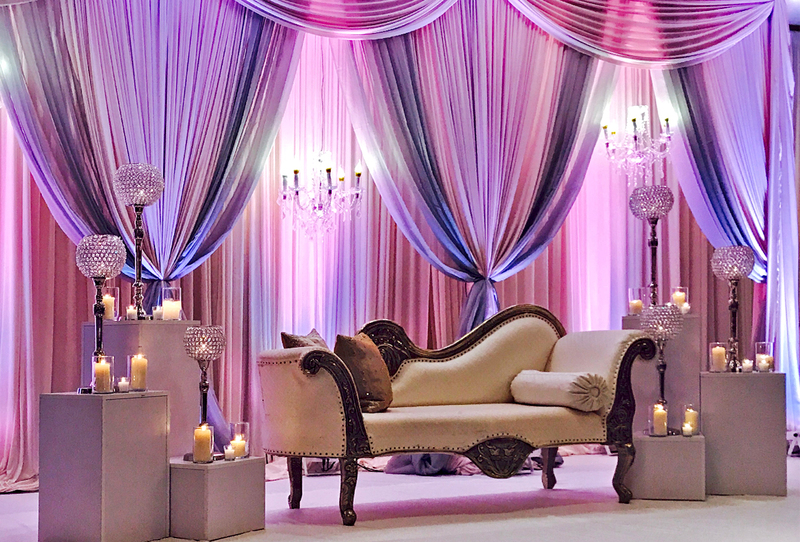 We at Dream Occasions have been creating Stunning and Stylish Event Decorations for well over 18 years. Whatever your needs, we are able to make sure your event is truly distinctive. We pride ourselves on our creative abilities, enjoying new challenges and always exceeding expectations. At Dream Occasions, you will receive a truly personalized service by a dedicated team that will make sure your celebration is unforgettable. We are more than just a wedding company. We have evolved to become the market leader with our innovative and inspiring ideas which continue to influence current design trends. This Web Site contains a small selection of our work. For more information on our hottest new designs, please visit our Showroom or book a free personal consultation by calling us on 630-855-6588 or email us at: info@DreamOccasions.com. Thank you for taking the time to browse our Website and we hope that we can be of service in creating your Dreams. Make your next event, one to remember. Make Dream Occasions your premiere special event design and decor service company. Our highly professional and enthusiastic production team is ready to advise and orchestrate your next event. We are one of the pioneering companies who offer a competitively priced and personal service for all your event and party requirements. We understand the importance of flexibility and budgets, but this does not compromise our extremely high standards. From conception to completion with our custom designed Props, Backdrops, Stage scenery, and Lighting, our design and installation teams can magically transform your venue into anything you desire . . . 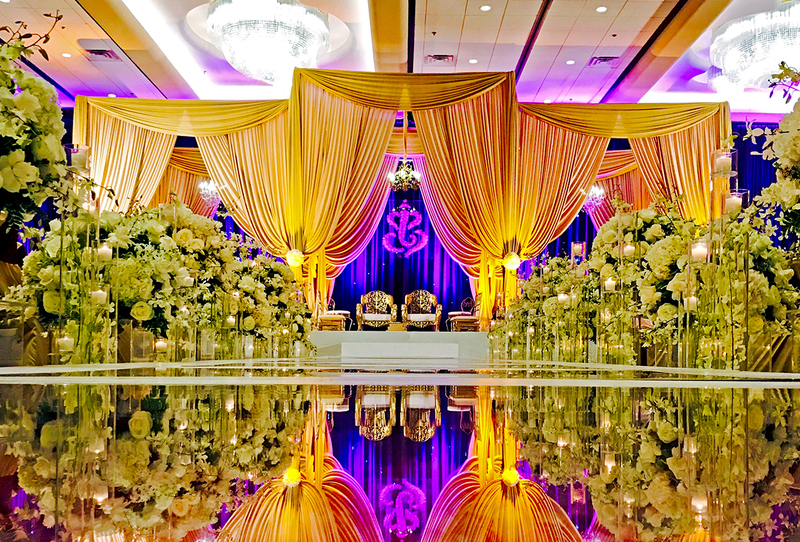 Imagine getting married under an array of exotic blooms and fragrant blossoms with our modern designs, combined with traditional Wedding Arches, Mandaps & Stage designs. We can enhance a look of your space beyond recognition with Elegant Drapery, Enchanted Lighting, breathtaking floral displays, and water features creating a breathtaking Event. Creating an Expression of the couple’s style and personality. After the formality of the actual wedding ceremony, most couples look forward to their reception with great enthusiasm. 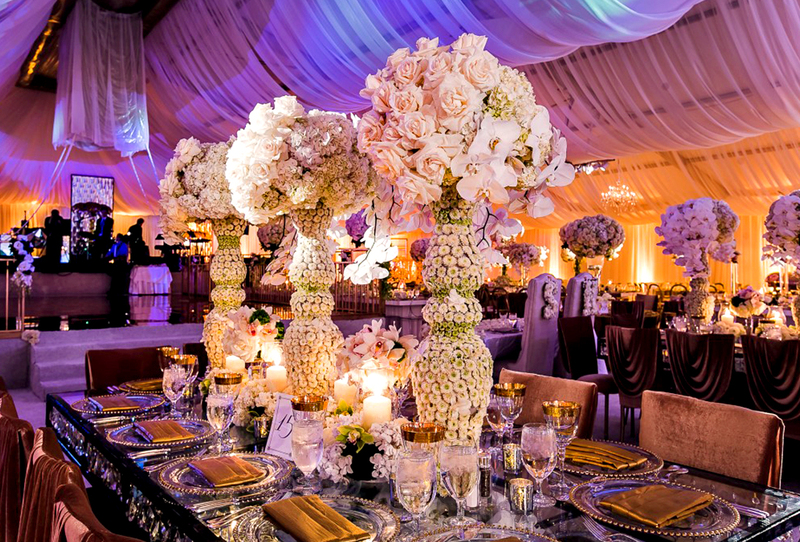 To make the reception extravagant, we have some fantastic design ideas. From conception to completion our table centerpieces range from Flamboyant flowers, Natural Trees to enchanting candle Holders, to Sparkling diamond cut hanging crystals chandeliers. Our Head table Décor and reception Stages are custom designed with each client involved in the design process. Our custom designed Props, Backdrops, Stage scenery and Lighting. With years of experience, our design and installation teams can magically transform your venue into anything you desire . . .
A themed Altar/Mandap/stage decoration is probably one of the most important features of a wedding venue. 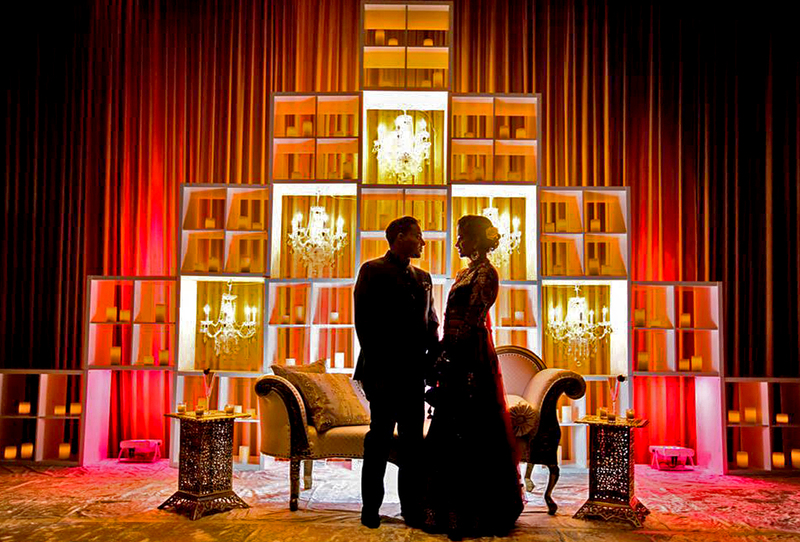 Often the center of attraction, most wedding plans use the wedding stage a focal point where all eyes must be drawn. A wedding Altar, Mandap & stage decoration setup must, therefore, be spectacular, where the bride and groom can bask in royal splendor. 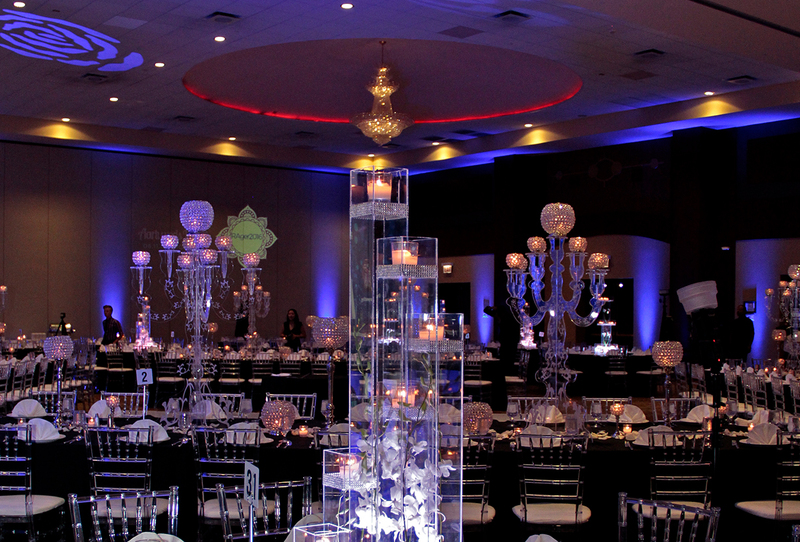 Dream Occasions also specializes decoration for wedding and similar types of events in Chicago and elsewhere in the world. We offer bespoke bridal stage decoration and wedding decorations services for differently-themed wedding celebrations. We have the best wedding planning teams and designers who will work with you from start to finish. They will make sure you can achieve your vision and see your dream come alive from blueprints to the actual stage design. Our expert and professional stage decoration teams can help you create the best wedding designs, based on your chosen theme. We take the time to meet and sit down with every client, to make sure we understand every aspect of design that you want for your dream wedding. 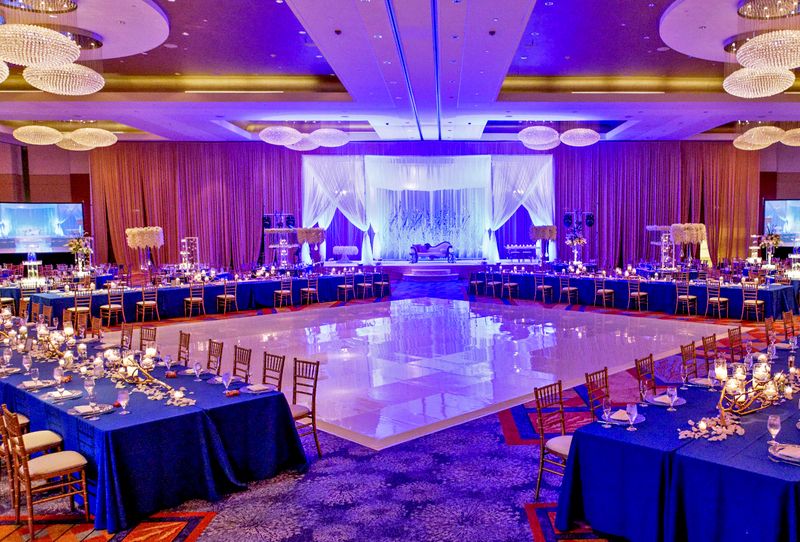 We will help you create a complete checklist of everything that you will need to set the stage for the perfect wedding celebration. To captivate your guests, why not choose a theme for your event? Be it a subtle introduction, or a more extravagant statement, we have plenty of ideas to complement your celebration. 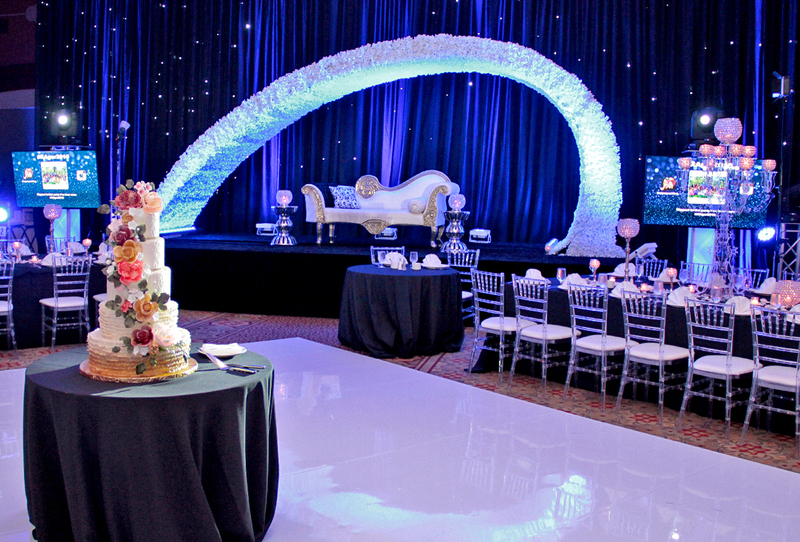 Dream Occasions is renowned for their exclusive themed parties. Traditional Indian, Moroccan themed events, Chic uptown New York, Miami styled, contemporary lounge, corporate affairs, charity galas, intimate dinners, are just some of the themes we can create. Our recent portfolio of work includes creating Modern geometrical shape backdrops as well as Indian & Moroccan oasis for a pre-wedding party. This scheme includes beautiful stained glass Moroccan Lamps, luscious velvet drapes, and intricately embroidered patchwork cushions. Another popular addition to our collection has been Contemporary / Modern Furniture. This collection features lighted acrylic bars, tables, modern leather sofas, and ottomans with dramatic lighting that never fails to enthrall guests. This is the perfect accompaniment to any stylish reception, cocktail, or lounge party. 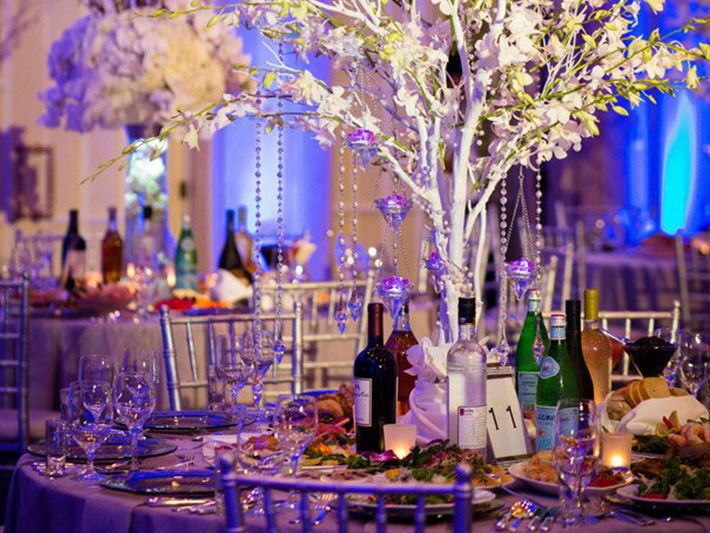 Dream Occasions only offers premium quality products and styling services when organizing a corporate event. With over 18 years of experience, we have specialized in decorating and styling for large events such as: PGA Ryder Cup, Fox TV Network, McDonald’s corporate, Exhibitions, Christmas parties, product launches, charity galas, fundraisers, team building activities, and more. Our team of designers will make sure we meet your requirements, ideas, and budget. Contact us via phone or email as we look forward to collaborating with you. Our Props are created in-house by a dedicated team of designers who have established a number of recent wedding trends such as the enchanted Garden Theme Ceremony to contemporary Stage Designs. We are constantly researching new and innovative elements for our designs. As a consequence, our designs include components sourced from all over the world. 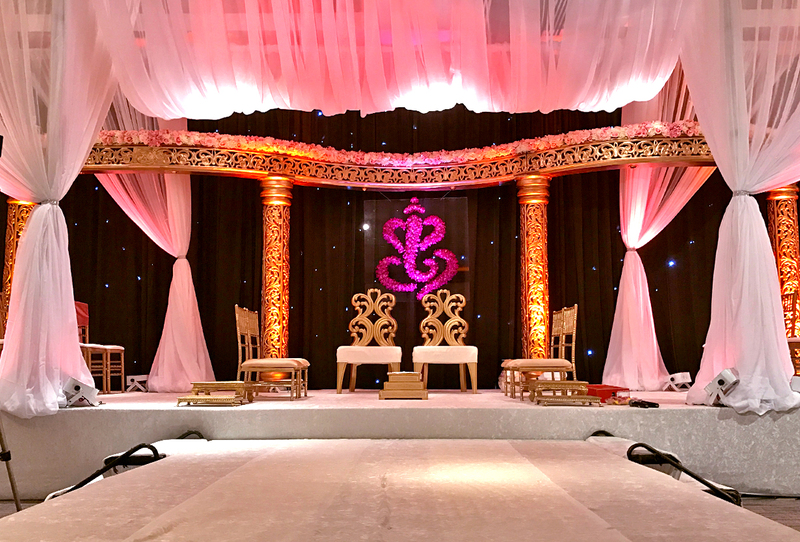 At Dream Occasions, we also provide a tailor made bespoke design services where our design team will create your Dream Stage or Mandap especially for you. The pictures here represent only a small selection of our range. To view our extended collection please make an appointment to see our Hottest New designs. Our recent portfolio of work includes creating Modern geometrical shape backdrops as well as Indian & Moroccan oasis for a pre-wedding party. This scheme includes beautiful stained glass Moroccan Lamps, luscious velvet drapes, and intricately embroidered patch work cushions.